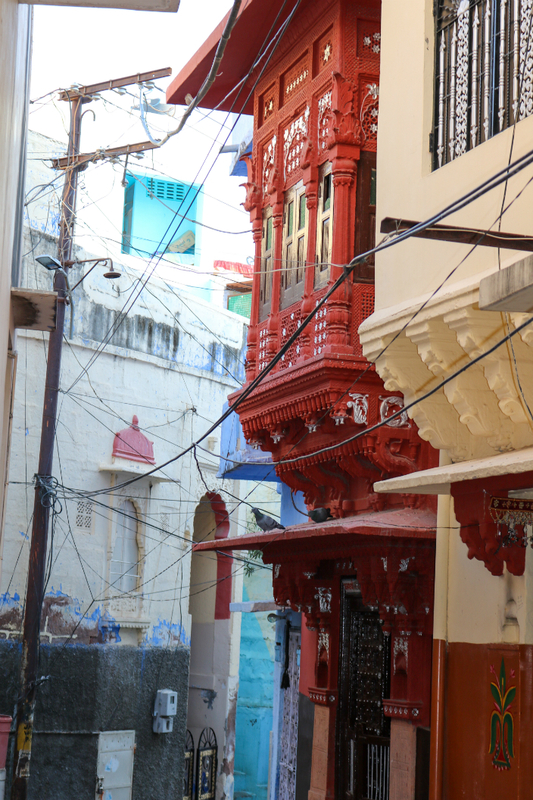 The most beautiful photos I have from India were taken in Jodhpur and once you scroll down this post you will understand why. 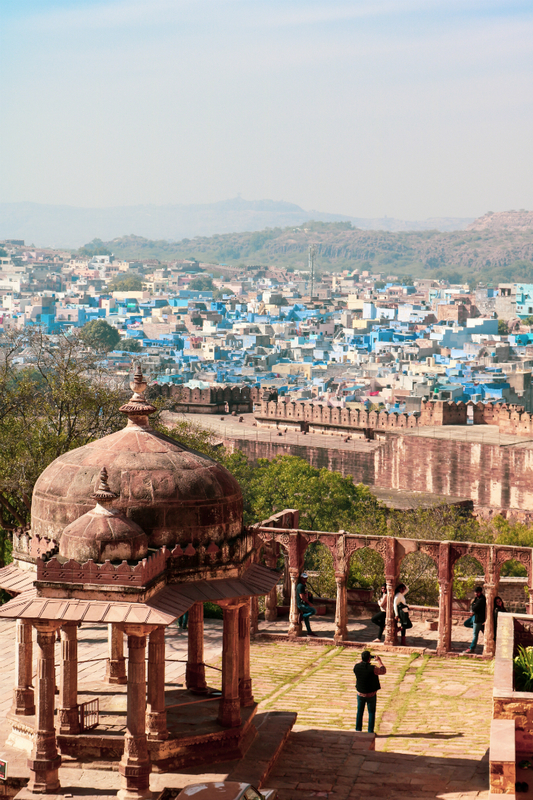 India is all about colors and Jodhpur is all about blue. It’s just excessively beautiful and charming. We’ve been there in January and the weather was warm and sunny, we could walk and enjoy all the cool places of the city. 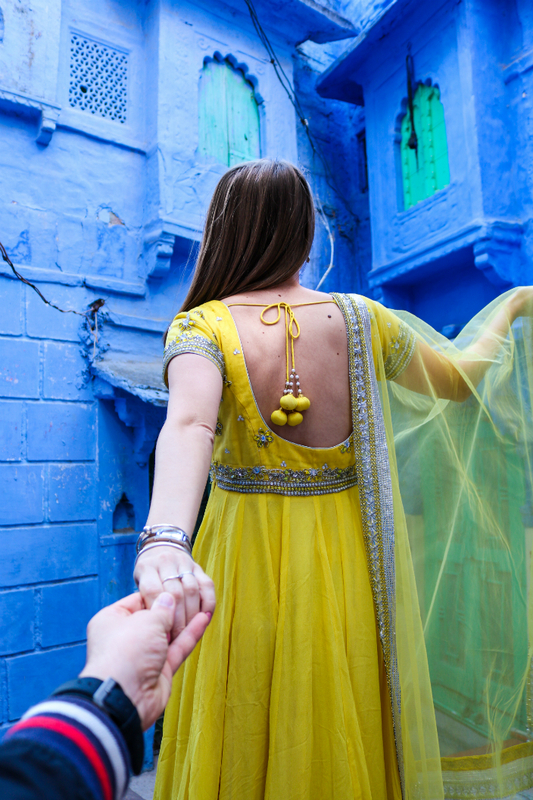 But before you start planning your trip to Rajasthan, there are few things you must know. 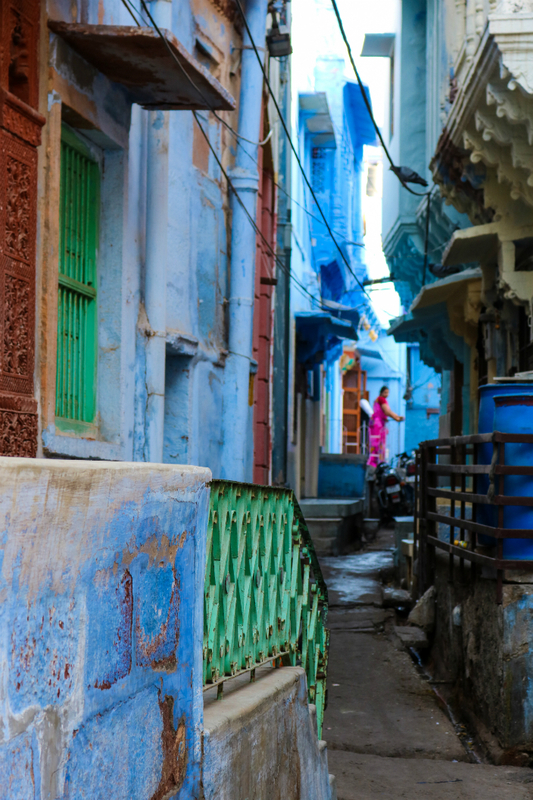 Jodhpur nowadays it’s not all blue, the only part of the city which remains painted in the iconic blue shades is the old city. From the Mehrangarh Fort the views of the old part are just incredible and you can spot which direction you have to take after. Plan your visit in early morning, best before 9am in order to avoid crowds and curious eyes. I was wearing beautiful indian clothes and believe me everybody wants to see a blonde girl wearing a sari. Don’t go alone, not because it’s not safe, it’s just better to be with a local, believe me helps a lot. Our driver took us close to the narrow streets. You can’t actually drive in the blue city, only on foot. The moment you spot first little blue houses you can’t stop chasing other ones, and the beauty of the streets rise progressively. Some houses would have messages asking to not take picture in front of people doors, I found that really unfriendly. I must confess I did take pictures on forbidden places. Some streets would be quite dirty, which is a pity for such a beautiful place. We took so many photos, in all shapes and colors. Was such a beautiful morning, I was delighted. Our guide assisted us with photos, I mean couple photos. One thing to remember: ask an indian man to take a picture of you and you will be surprised how good indians are with photographs. And one more thing when you plan blue city: pick a nice color to wear which match with blue and enjoy all the clicks you want. 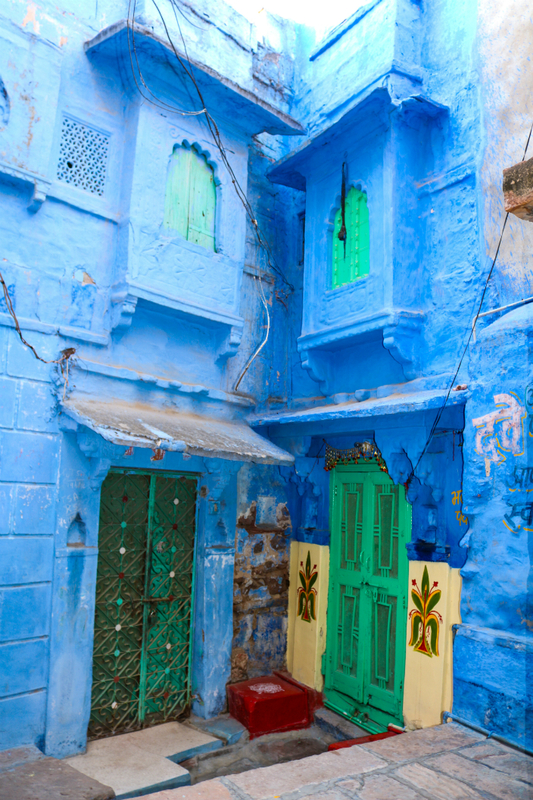 Here we go, the blue city in 10 incredible pictures!